The availablity of accommodation and transportation is limited. Please contact us about it as soon as possible. No availablity guaranteed with a short notice. Upon authorization of the domestic rightsholder to the event (Eesti Meedia AS), I have the rights to film / record audio-video material. I hereby declare under my sole responsibility that all the footage from the event, including the footage possibly received by any third party, shall be technically protected and securely geo-blocked, in order not to be accessible outside the territory of Estonia. If interested to clear the relevant International rights please contact Infront Sports & Media AG representative Filip Grabowski by email filip.grabowski@infrontsports.com or by phone +39 02 77 11 21. Should I not comply with the above specifications, I am aware that Infront Sports & Media and Eesti Meedia AS shall take any appropriate legal action to protect its copyrights and proprietary rights and to receive just compensation for any loss and damages suffered. 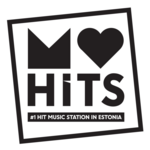 The TV-broadcaster will be Eesti Meedia (contact person Marko Kaljuveer, phone: +372 50 16 425).